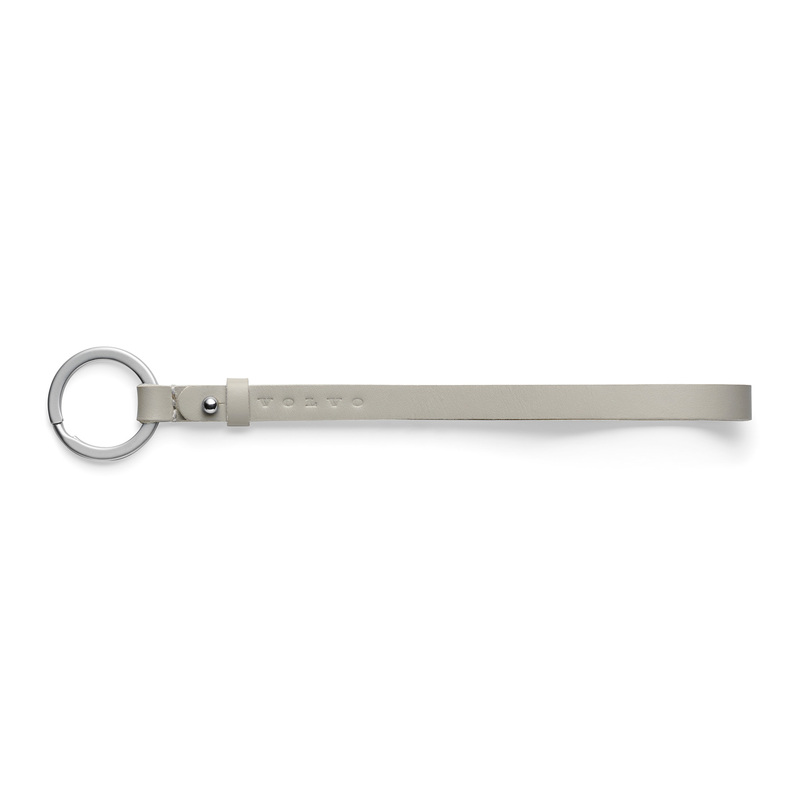 Leather keyring in Blond with a metal stud fastener and metal ring. The Volvo logo is debossed into the leather. Length: 18cm.